This time you have to save the villain, so that's slightly different. It was right there in the title all along, so you knew it would happen eventually. 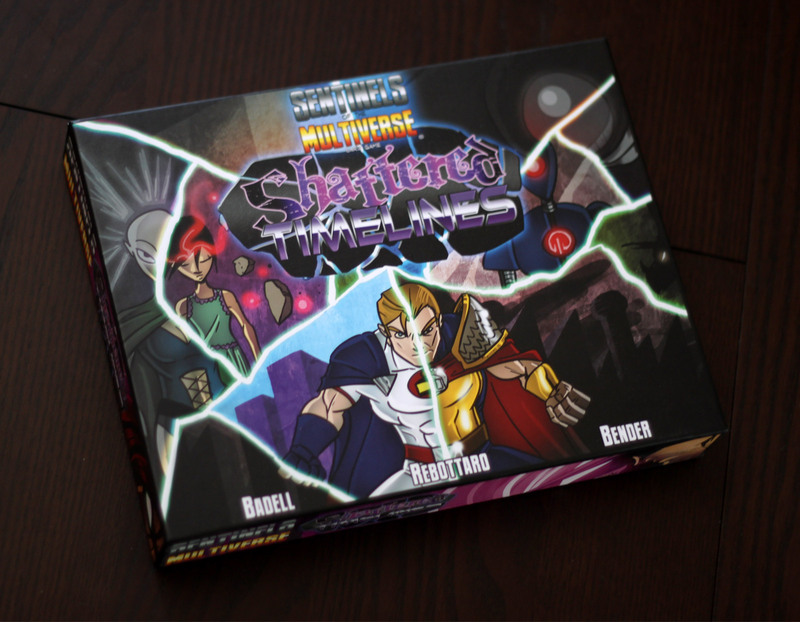 That Multiverse finally comes into play in the 3rd expansion for Sentinels of the Multiverse, entitled “Shattered Timelines.” As you might expect from such a title, the backstory is that timelines have been shattered, leading to alternate realities spilling over. Meaning you’ll find yourself pitting your team of heroes against not the leader of the Freedom Five known as Legacy, but a powerful villian known as Iron Legacy. Visionary’s alternate path turned her into the Dreamer, a powerful psychic girl whose nightmares are becoming reality. And let’s not forget La Capitan, our favorite time travelling pirate villainness. 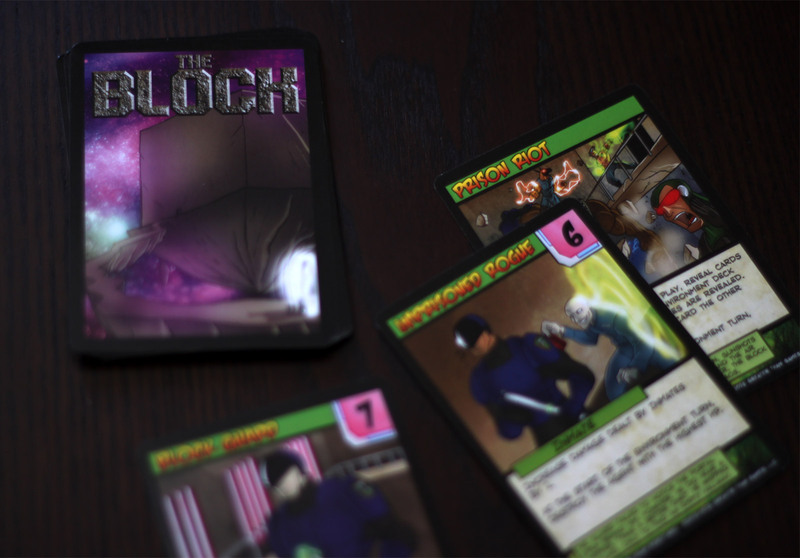 Will you fend off these new evils and seal the rips in space/time? 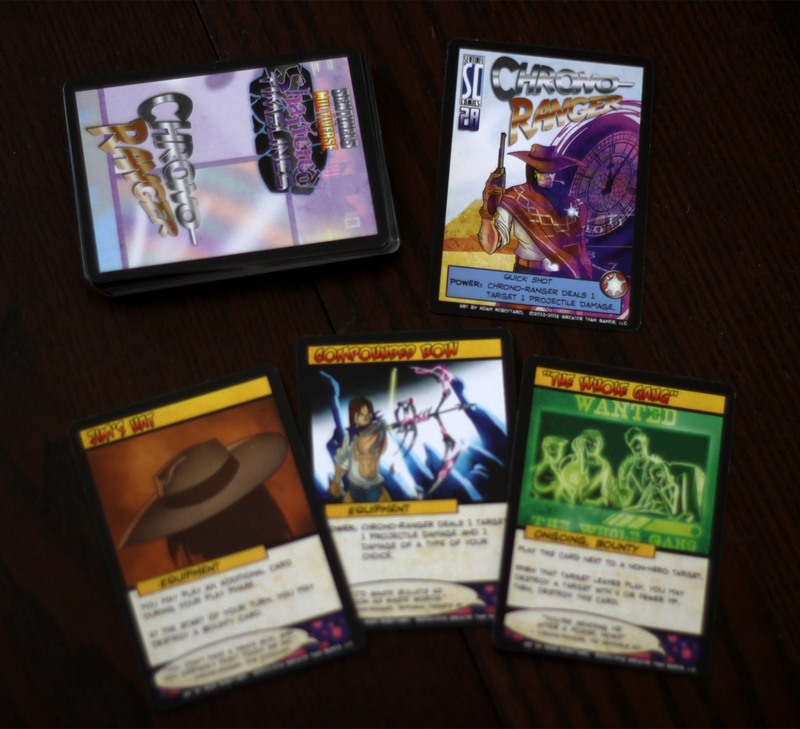 If you’re familiar with Sentinels of the Multiverse, which you really should be for this review to mean anything to you, the formula hasn’t changed. 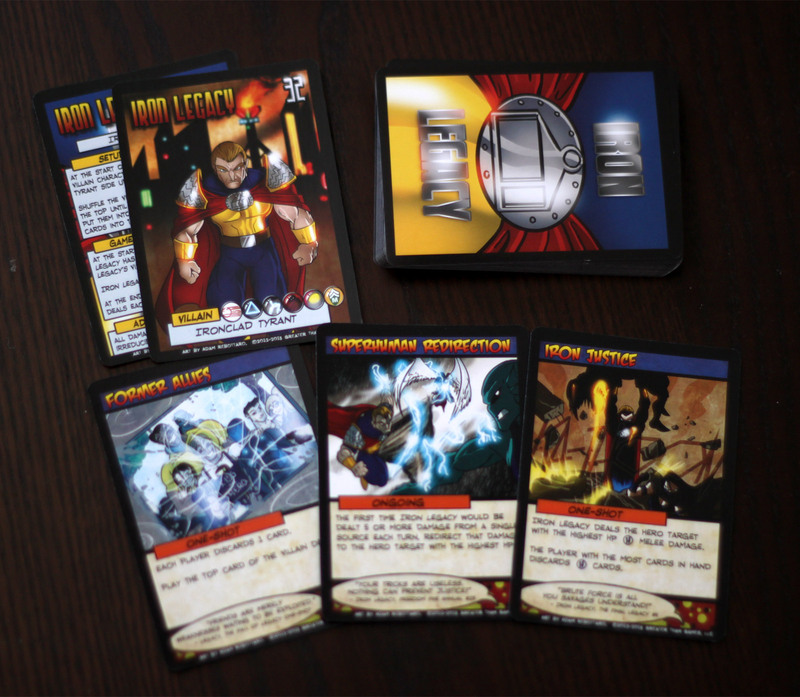 You’ve still got a villain automatically resolving cards that deal damage and other nefarious effects out to the team, an environment that can hurt or hinder, and of course a team of heroes – the players – with the one card / one power / draw a card scheme. If you’re not familiar, go check out our review and then check out the game. The Time Cataclysm is perhaps what caused this whole shattered thing? What this expansion does add is a slew of new heroes, villains, and environments. Many of these are alternate versions of familiar characters. As I mentioned in the intro, you’ll fight Iron Legacy – an evil version of Legacy – and the Dreamer – an alternate sort-of-villainous version of Visionary. 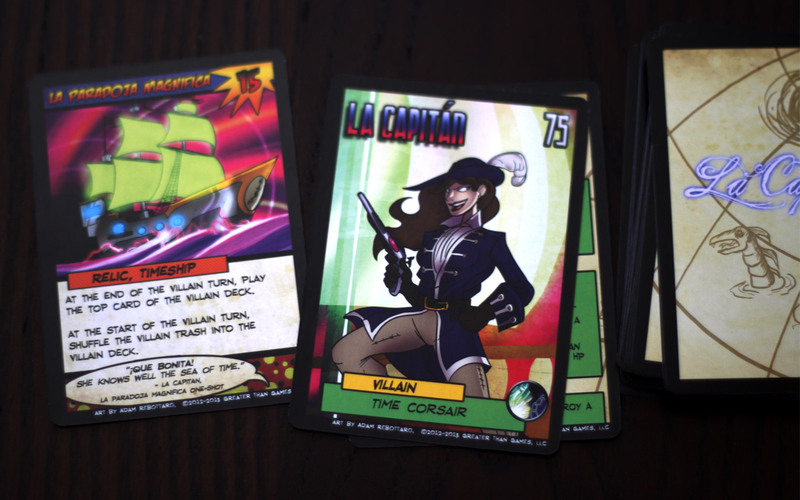 You’ll also take on the time-travelling La Capitan, and a lucky-charm wielding Kismet. Heroes include Chrono Ranger who is exactly what he sounds like, and Omnitron X – the latest version of the self-improving robot Omnitron, once a villain but now who has found compassion for humanity. But is still a weapon of mass destruction. And you’ll do battle in prison! 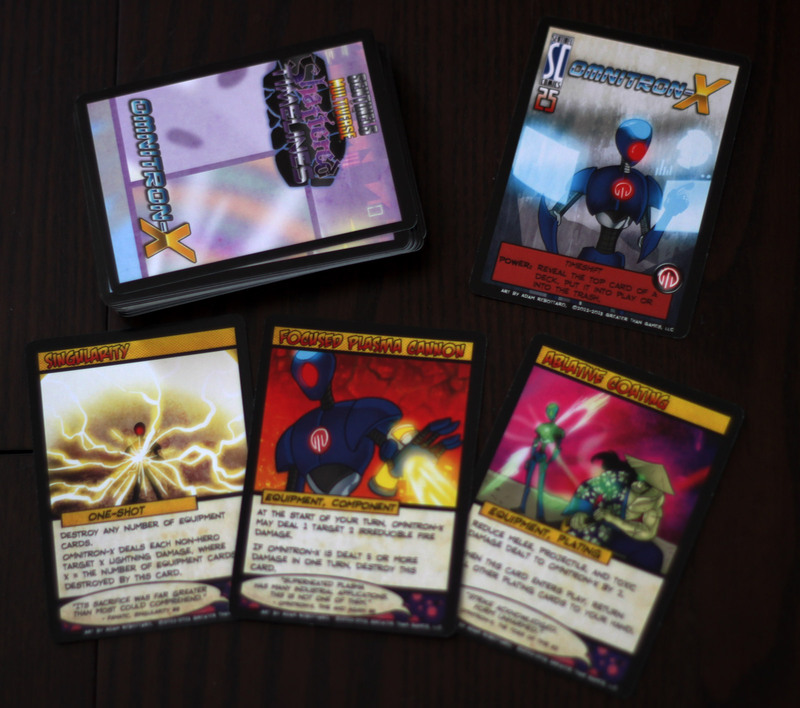 Sentinels of the Multiverse is about 4 years old, which in this day and age of rapid releases of brand new modern hobby games is practically historical. Over those years I’ve played plenty of Sentinels and its expansions. I’ve been through the initial excitement of playing with these fun, well-written heroes, toyed with new expansion heroes, and seen many villains rise and fall. Sentinels has always been a natural game for more expansions. Who wouldn’t want more villains to face, more environments to play in, and more heroes with shoes to fill. It’s entirely unsurprising and not unwelcome for this expansion to offer alternate versions of favorite characters, with villains becoming heroes and vice-versa. Like Iron Legacy… once well-loved hero, now totalitarian dictator of the world! Yet after all this time, I’ve began to wonder if something is missing. The formula works for the most part, and the expansions certainly haven’t veered from the formula. But is that really a good thing? After how many plays – I haven’t kept track – it all starts to feel a bit samey. Even though the heroes all have different ways of bringing the hurt, it all comes down to dealing damage, modifying damage, or healing your team from damage. Don’t get me wrong, the new characters in this expansion aren’t bland. Chrono Ranger gets Bounties, which let him set his sights on specific targets and really put the hurt on them. Not to mention his abilities boosted by the number of Bounties in play. He’s also got a few sweet weapons to deal out the damage, and if you can get the right cards you’ve got yourself a smooth playing, fearless gunslinger. Omnitron X not only provides players a way to take on the roll of a classic SOTM villain, but if you’ve ever just wanted to unload massive amounts of damage without even spending your powers or cards, X might just be your guy. The villains are slightly less varied – since plays are automated, it’s always some form of a gathering army of minions. It’s only the specific steps needed to kill the villain – which is usually some form of “kill all the minions” – that varies. 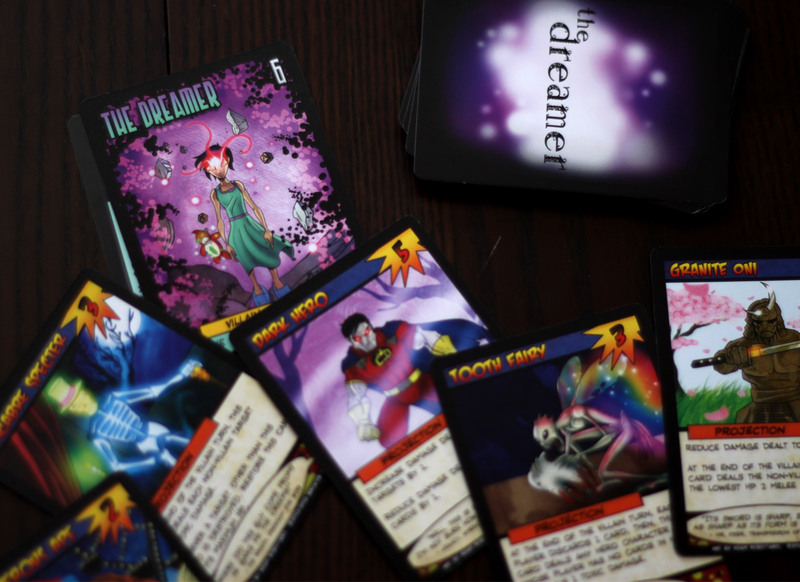 Only one villain is truly unique – the Dreamer, in which you actually must keep the villain alive while you battle her minions. When the villain has only 6 hit points to start, that isn’t as easy as it seems. As I play each game, though, I find myself wishing that new expansions offered more ways to change up the formula. 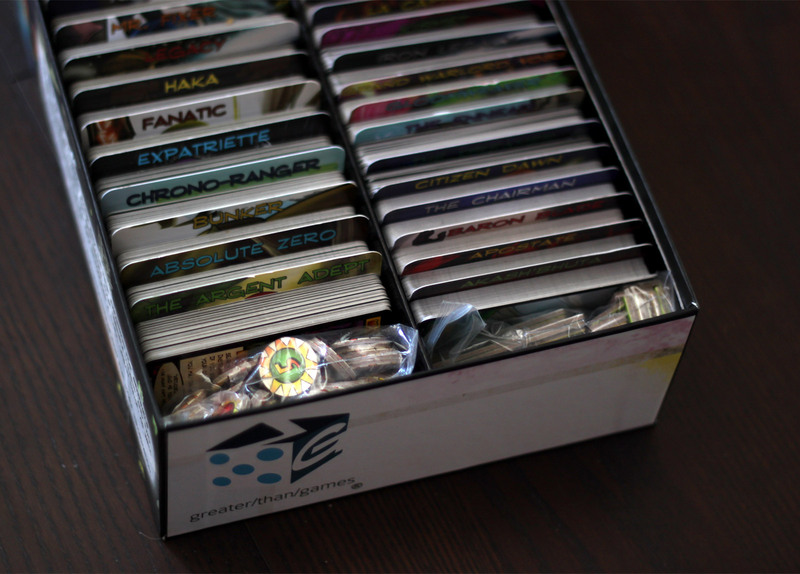 Sure, it’s fun to get new characters or cards to play with – I’m no stranger to Cosmic Encounter or Dominion expansions, which primarily add new cards to the mix. But those games also offer genuine twists to the gameplay, or alternate ways to play. This time you have to save the villain, so that’s slightly different. So I think where are the variants? Why not a team variant with 2 on 2, or a particularly weak army of villains spawning a contest between players to see who can take out the most baddies? Why not some other clever, creative, cool way of using these characters outside of the same formula? Sure, the formula works, except when it doesn’t. I just want more. The formula. Yes, it still works. But yes, it still has the same flaws. After all this time it has become clear to me that this is consistent: the game is most fun when you can use your characters and powers the way they were designed. But so many villains attack the players by forcing discards or destroying cards in play. That creates a severe imbalance between characters that are powerful regardless (such as Tachyon who gains power with a larger discard pile, or Nightmist who can use her magic to quickly regrow a hand), and characters who need a stack of equipment or ongoing cards to be useful. Turns are simple, but if you get stuck with limited or useless powers, you’re going to have less fun than the players whose cards line up. I’ve also noticed success or failure can depend not just on the heroes chosen, but the order players sit in. In one game I played recently (with Shattered Timelines, against the Dreamer) we got hit with a HUGE number of projections from turn 1, including one that reduced damage from heroes by 1 against ALL villain targets. A significant number of hero powers that do damage only do 1 point, which makes it very difficult to overcome that wall. Unfortunately, we realized we were sitting in an order so that the players doing the most damage were going last in order, so the first two players (myself included) couldn’t do any damage at all – instead we just took big hits from Minions that did damage at the start of each heroes’ turn. Had the other players gone first, they would have removed the Damage Reducer opening the door for the rest of us to clear out some of the other projections. We played the rules as written, though, which means heroes go in clockwise order, and from that point on we were playing catch-up and really had no chance. This was compounded by the sheer number of projections which did damage AND forced us to discard cards, leaving us weak and fairly powerless. The game is the most fun when the villain is boosting his or her own powers and placing obstacles in the way of Heroes, while the Heroes actually get to use their powersand build up their abilities to fight back. Which happened in the very next game we played. I used the same Hero from game to game and my second game was much more enjoyable because I actually had a chance to use my powers. Probably my favorite villain from the box. Time travelling lady pirate. I don’t want to leave you with a bad impression about the expansion. If you don’t have any of the expansions, Shattered Timelines is just as worthy a purchase as Rook City or Infernal Relics (although now those two are packaged together, so you might want to get those first). But over the course of time, I’m wishing there had been more added to the game over time, not just new characters. You’ve got some great characters here – one thing is for sure, the writing is excellent, with creative character powers and backstories and hints at a greater overarching story, and fun art that fits the game. If that’s what matters to you, by all means get this expansion. If, like me, you’re starting to wish for new ways to play the game or at least some twists on the standard formula… you’ll have to wait for something else. Also, where will I put any new cards after this?